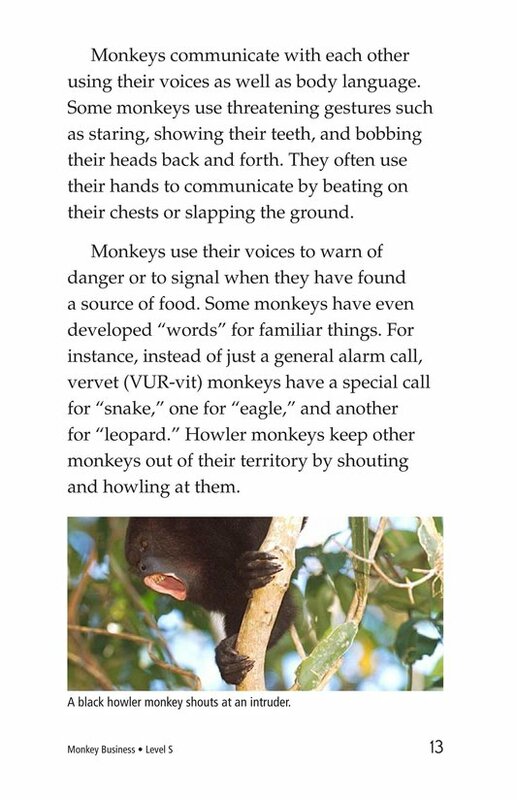 Monkeys are fascinating animals. 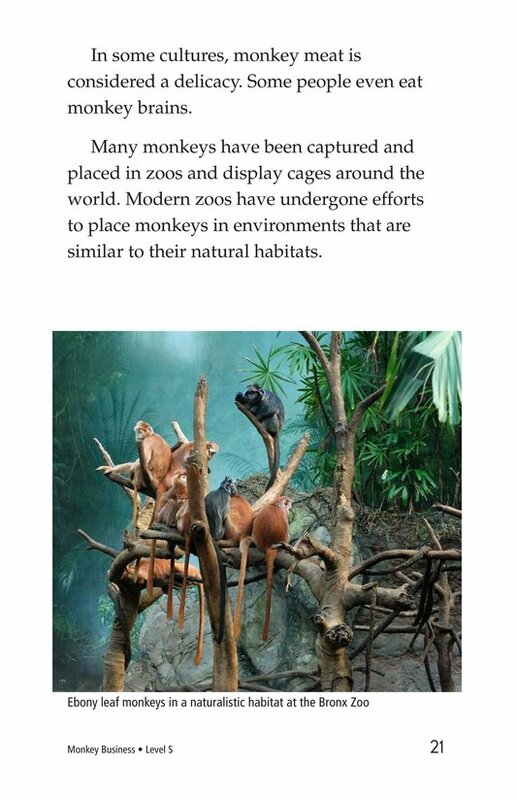 People love watching them, perhaps because they are so much like humans. 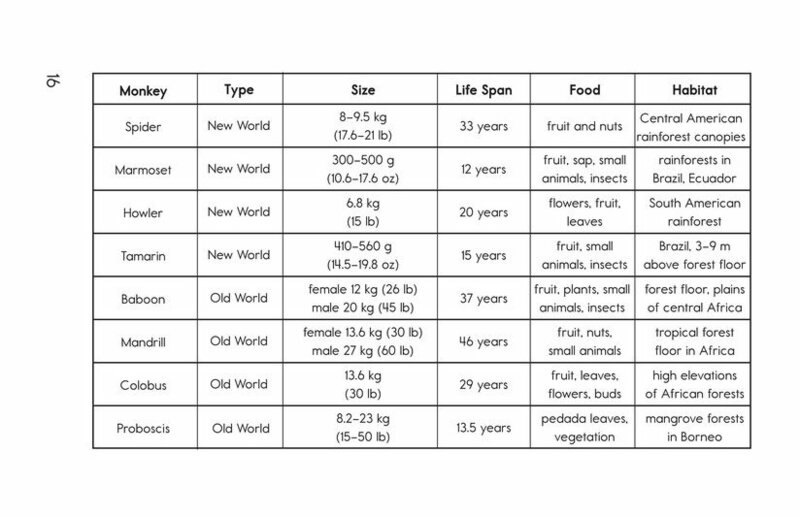 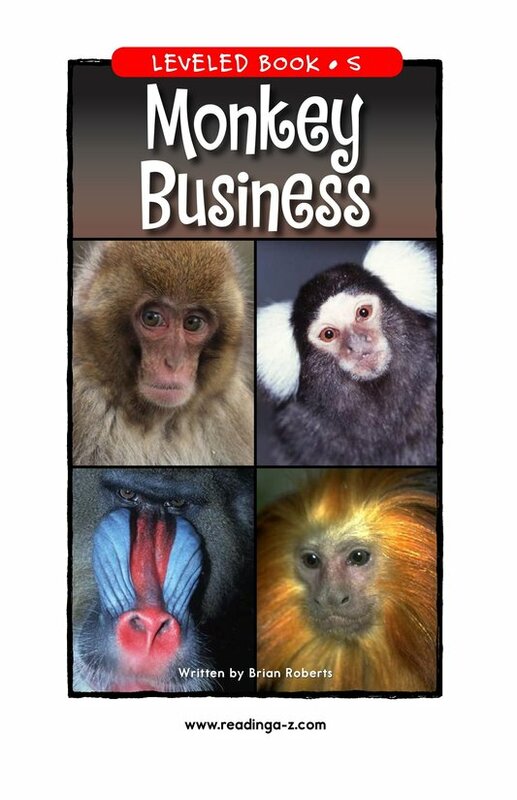 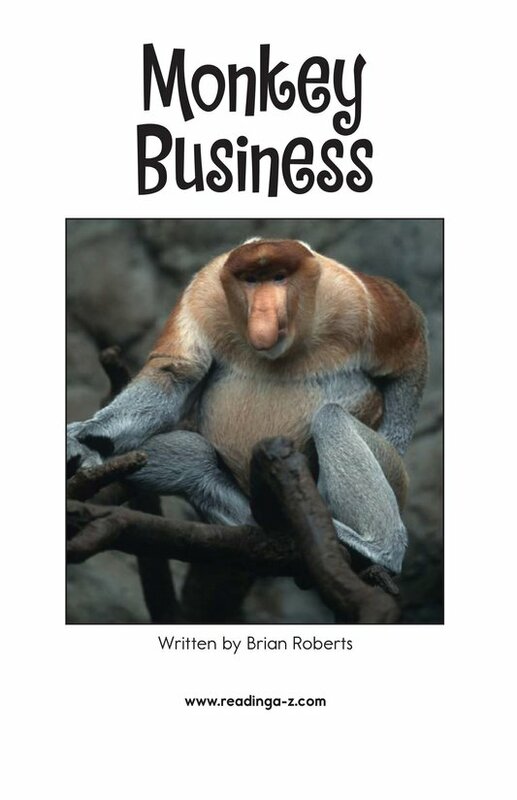 Monkey Business discusses the distinctions between monkeys and apes, and between Old World and New World monkeys. 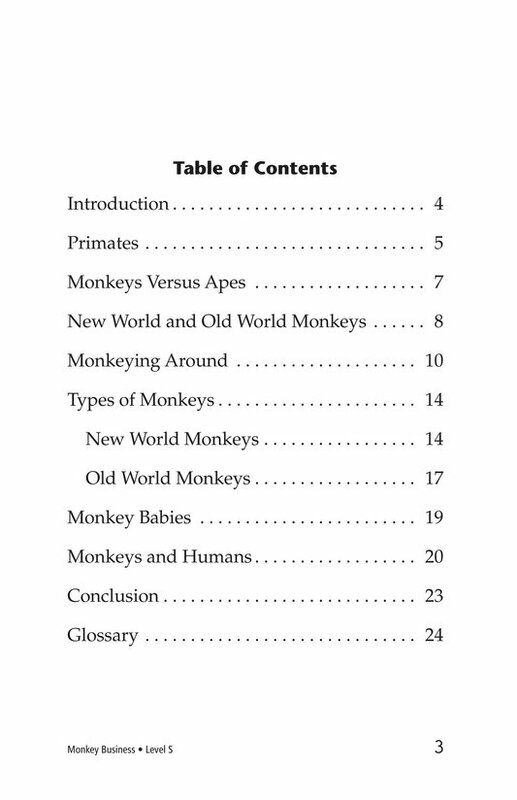 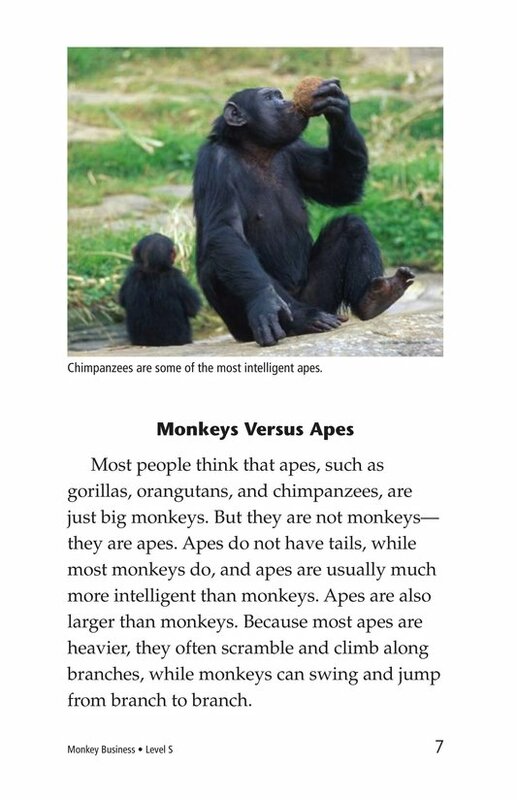 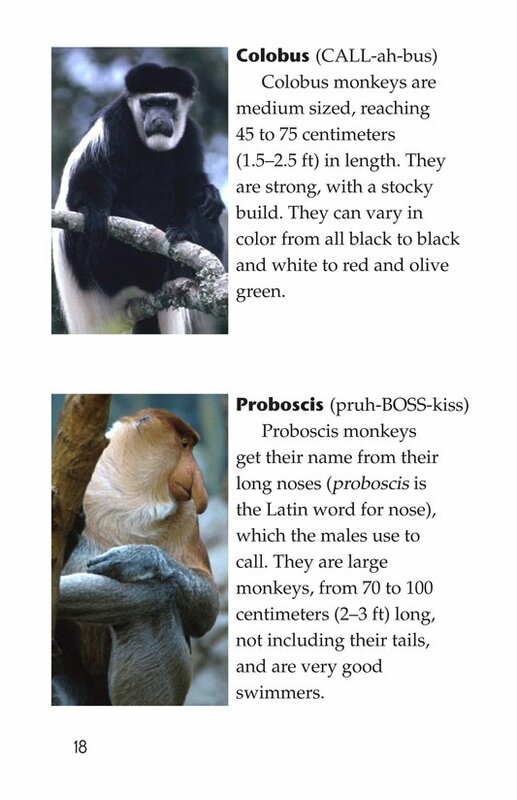 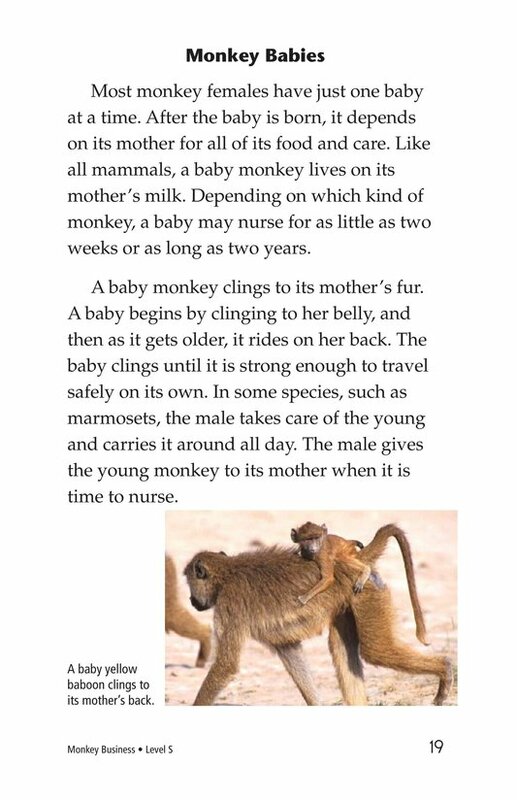 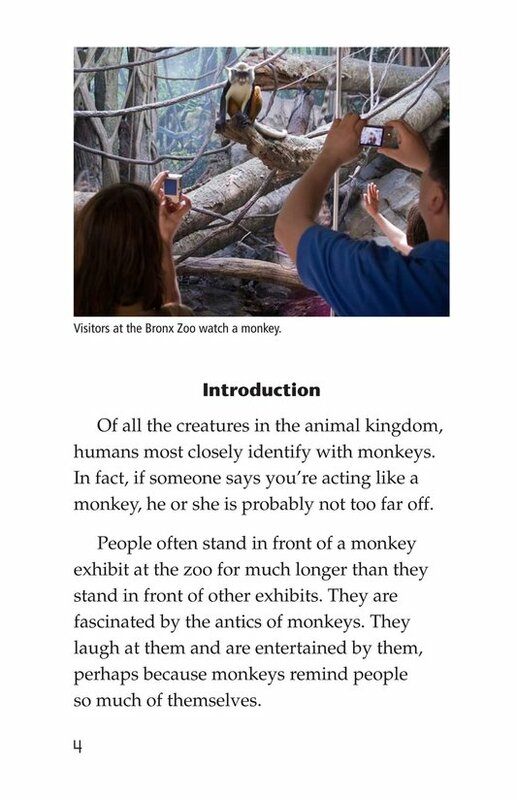 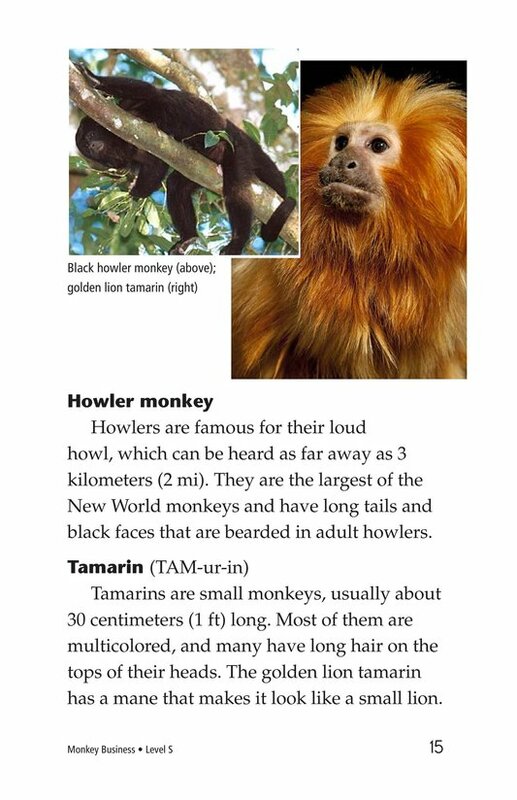 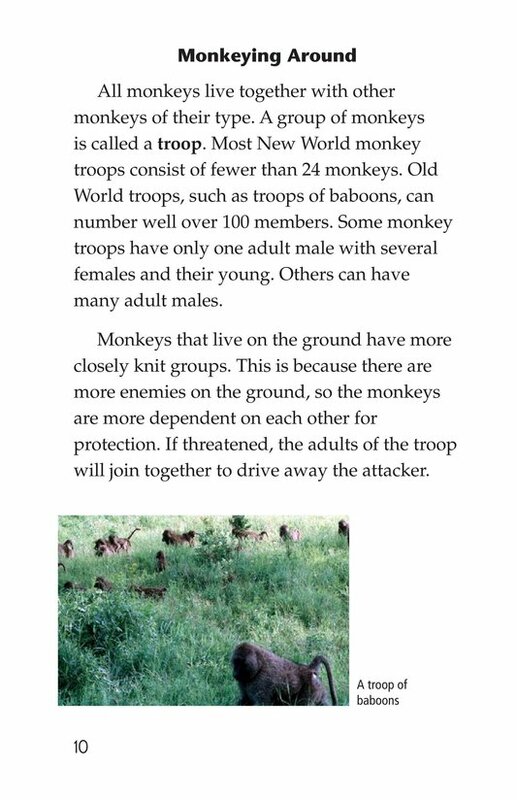 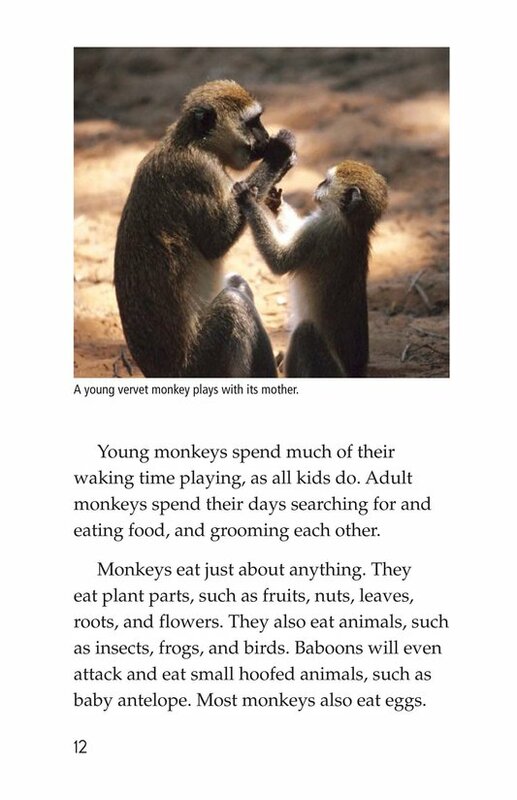 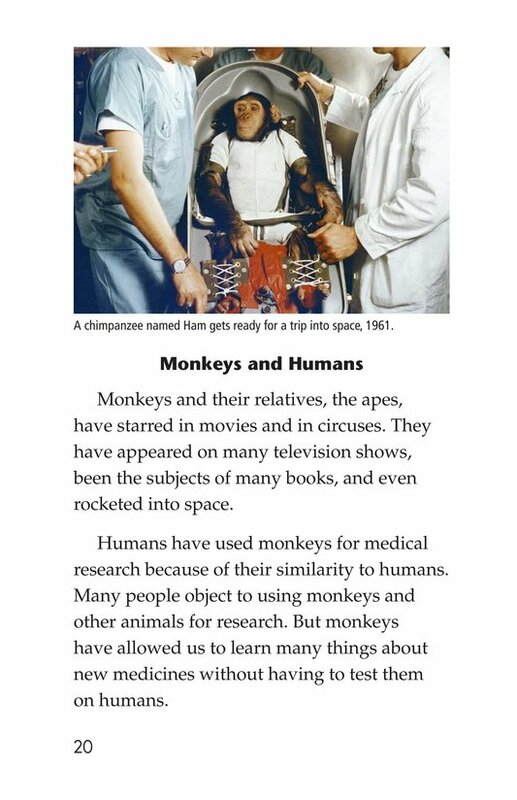 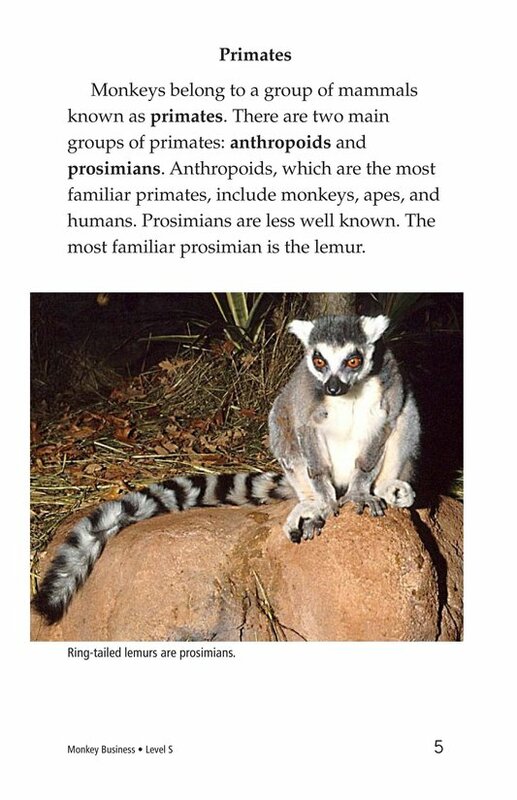 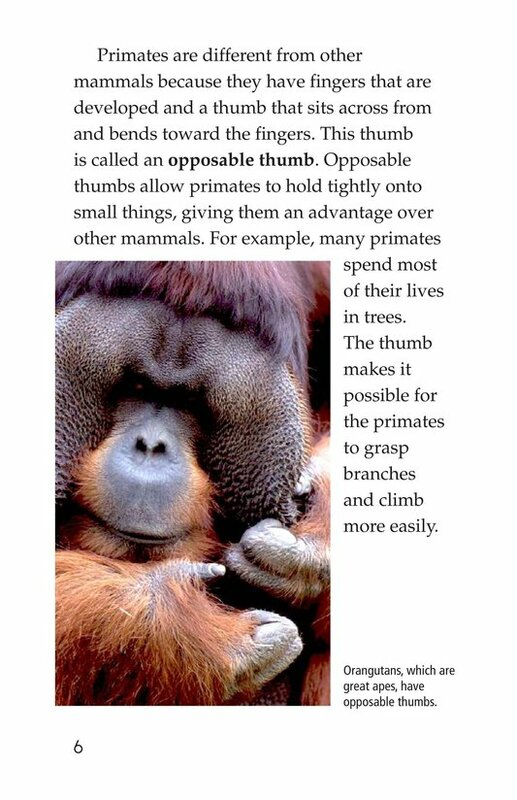 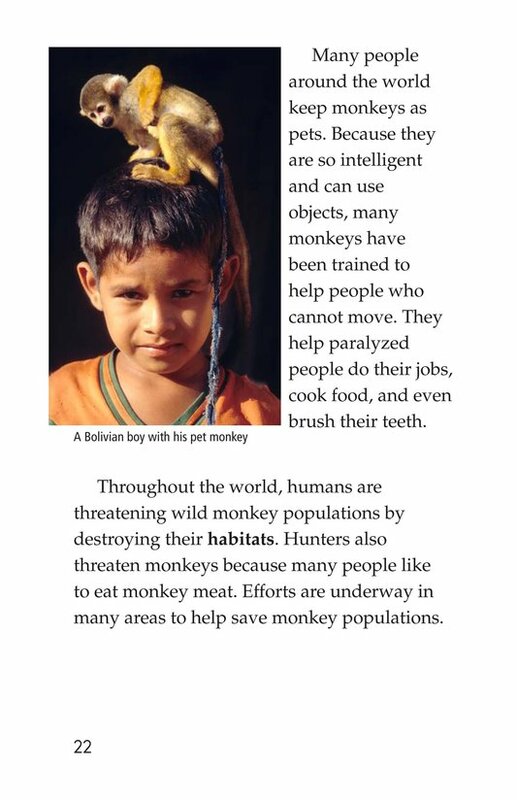 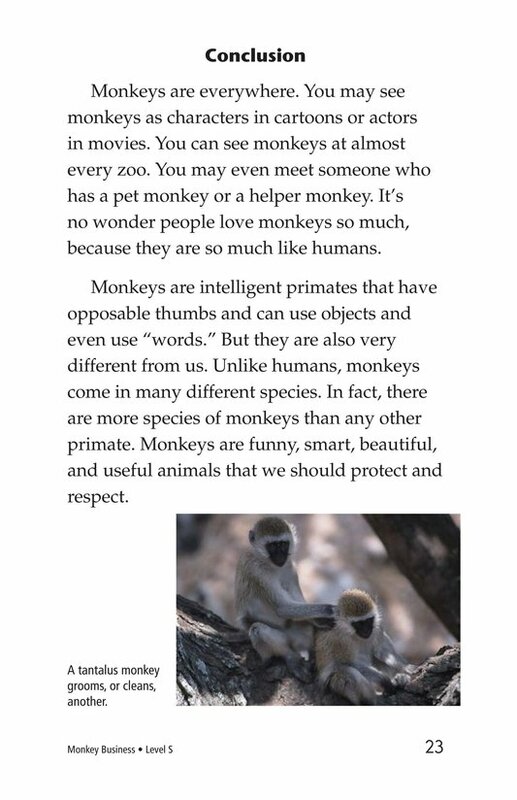 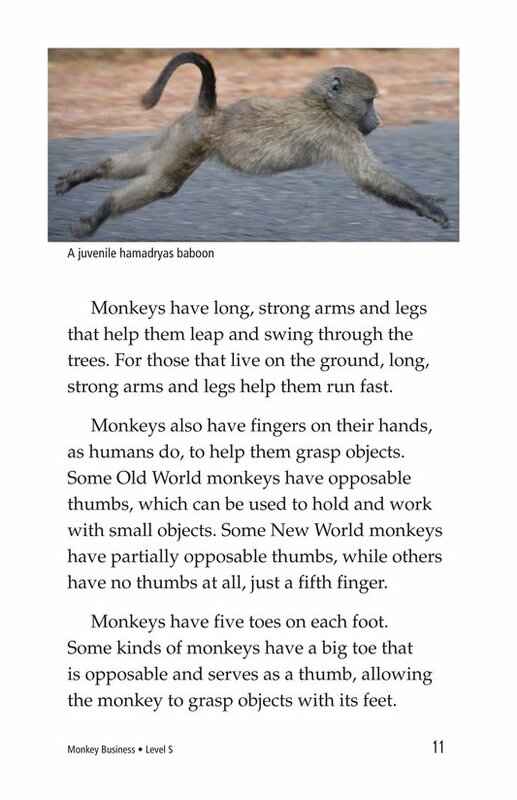 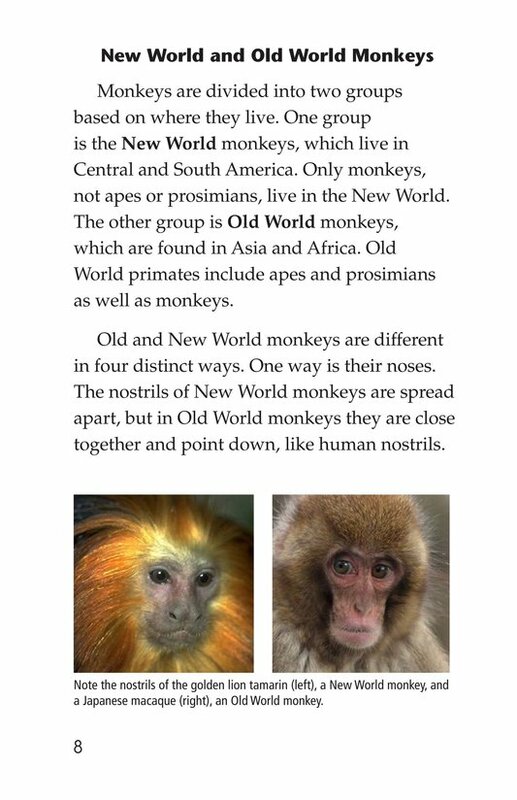 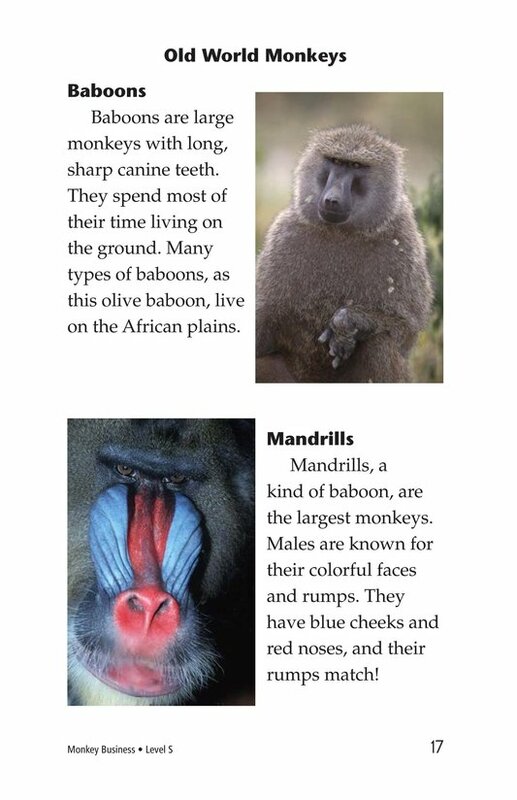 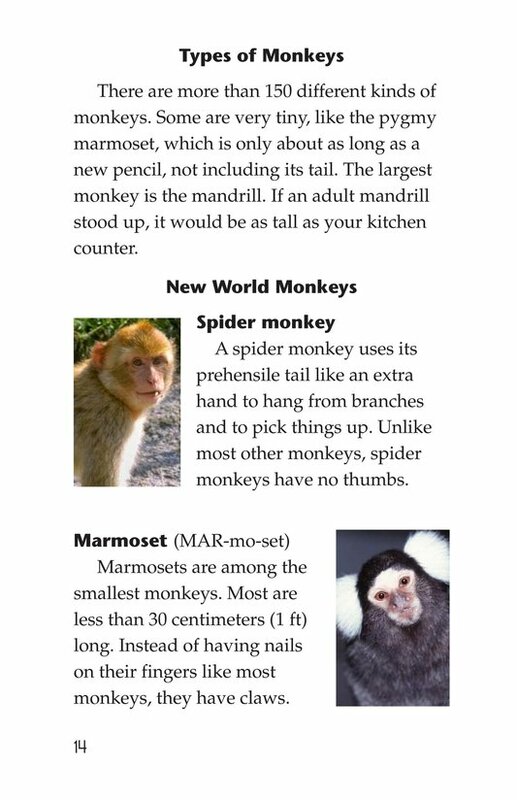 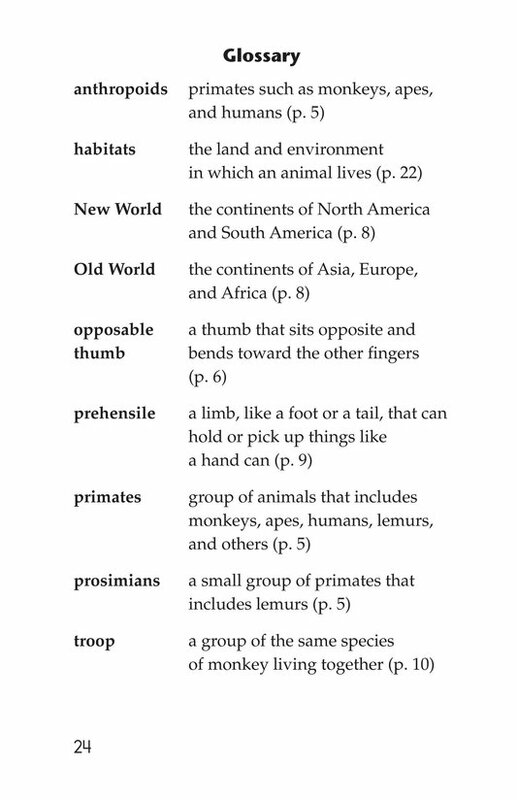 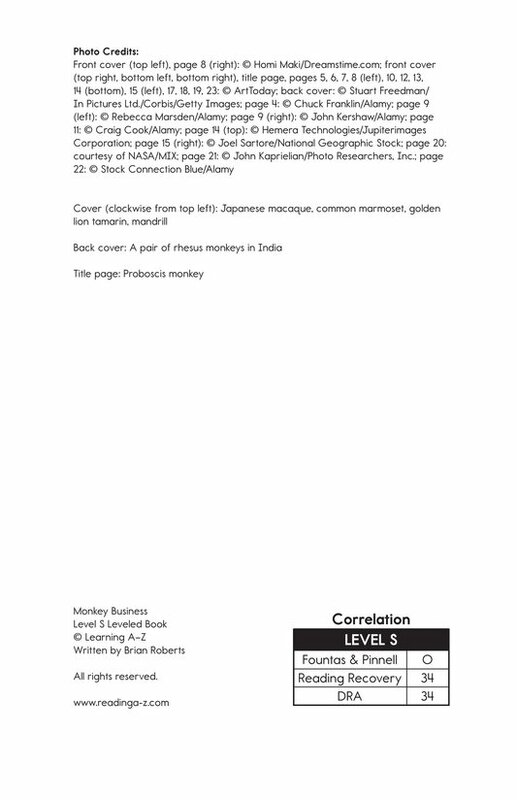 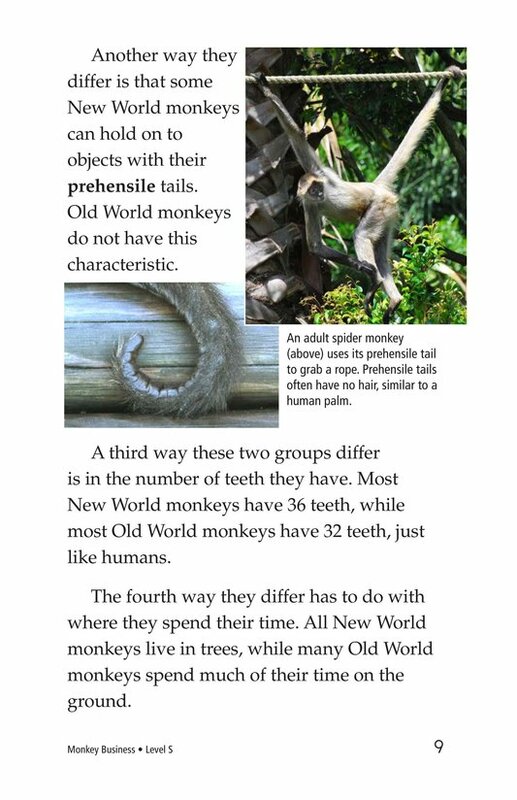 Readers will also learn about the many different types of monkeys, where and how they live, and how they interact with people.